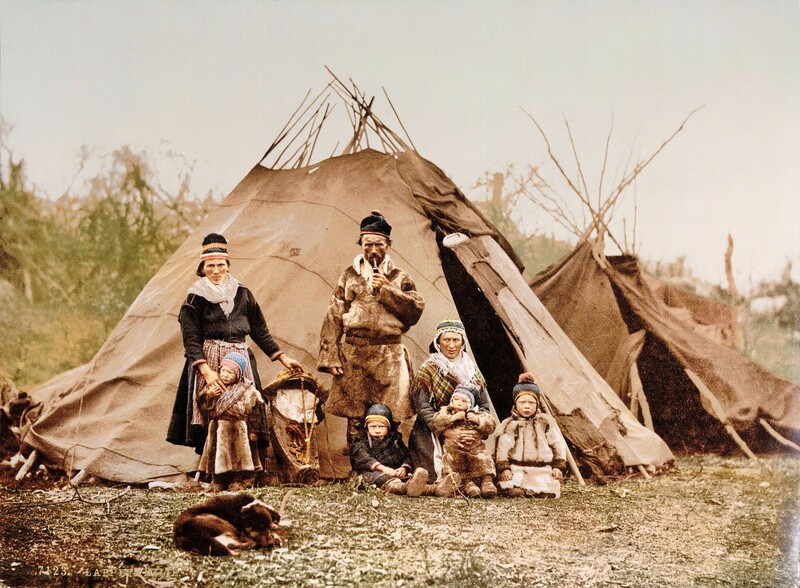 The Sami are the indigenous people who live in Sapmi, the Arctic region of Sweden, Norway, Finland and Russia. Although they have lived there for thousands of years, it is only recently that they have been recognised as an Indigenous people by the United Nations; this gives them the right to preserve and develop their crafts, traditions such as reindeer husbandry, identity, education and language; since the Sami language of Uralic has more than 300 different ways of saying “snow” for example, it may take some time to do this. Today ethical and green living is something we all strive for, however for the Sami this is their way of life. They have always lived off their land, and rather than exploit it they have always shown great respect for it. Although the Sami today maintain their rich culture and traditions they are very much part of the modern Swedish society. The Sami of today live in modern housing and only use tents as very temporary accommodations during reindeer migrations – if they don’t already own cottages in the mountains and forest. 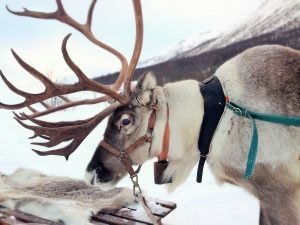 However, only ten per cent of Swedish Sami earn a living from the reindeer industry, much of which is meat production. In the past, during the migration of entire reindeer herds, the herders and their families would move by foot or on skis. Nowadays, reindeer herders mostly use snow scooters and all-terrain vehicles to drive the herds. Sapmi has a stunning landscape of beautiful lakes and streams, snow-capped mountains, tundra and forest. It is an area of outstanding natural beauty, peace and quiet. Tourism is becoming an important business for the Sami and there are various opportunities to visit these wonderful people and experience a glimpse of their traditional lifestyle; you can also get up close and personal with Sapmi’s most iconic animal, the reindeer. Sapmi is a perfect destination for groups who seek something different – you can combine a stay at the famous Ice hotel in Jukkasjarvi – the first Ice Hotel in the world – and include a trip to Abisko National Park, from which you can then travel 45 min east to the Sámi village of Rávttas. Here you can learn about the Sami and as much you can take in about the different reindeers, experience a ride on a sleigh and enjoy a traditional meal around an open fire in the Sami Tepee it is sure to be an experience that will stay with you forever. Our resident Scandinavian expert can tell you much more. Feel free to contact us here.